This tiny little book is going on an aeroplane and heading to London! Get a copy now by tweeting @zarn_G, @opzaharin or @studioanaianai (RM20 + RM6 postage). My debut with indie publisher Studio Anai-Anai is (finally) born! The book is sold at RM20 per copy, please add RM6 for postage (Malaysia only). Or visit Studio Anai-Anai’s booth at Kotakata @ Kota Buku at Parkson, Maju Junction this Saturday (26 March 2016). You can also purchase limited copies of signed and numbered books (1-100) at RM30nett (including postage). For these, write directly to sitibritney@gmail.com. RM5 will be donated under your name to Cancer Research Malaysia for each book sold. Purchases of 10 books and above will make you eligible for tax exemption. What are you waiting for, little darlings? You see the book with the umbrella on the cover? That’s Siti Britney’s maiden book under the indie label. It will be launched real soon. Sit tight! Today I went to the launch of Rumah Sahabat, which is located in Kota Bharu, at the invitation of Malaysian Aids Council. It is a halfway home that provides shelter, support group and methadone therapy to former drug addicts who are HIV+. I was greeted at the airport by a designated driver, let’s call him Abu. Abu is a well-dressed, well-spoken guy who works as a peer counselor with Ministry of Health. His main role is to provide counselling and, I guess the best word to describe it is “pujukan”, to those who are HIV+ to start antiretroviral (ARV) therapy. He also volunteers at the centre that provides needle exchange to current addicts who are not ready to graduate to methadone therapy. On the way to Rumah Sahabat he told me that he came back to Kota Bharu earlier this year. Prior to this he worked for 4 years with Jabatan Hal Ehwal Orang Asli (JHEOA) teaching Fardhu ‘Ain to Orang Asli children in Gua Musang. “Kuala Lumpur is hot,” he said with a chuckle. After the launch ceremony was over, I decided to try to catch an earlier flight back to Subang so I turned down the invitation to join the delegation for a Kota Bharu food tour. So Abu, once again, became my designated driver. I asked him about his education and how he ended up choosing a career as a peer counsellor. “I lived in my kampong my entire life that when I went off to college I became completely uncontrollable. I experienced an extreme form of cultural shock. That’s also the reason why I cannot live outside Kota Bharu for too long,” Abu explained. I asked him if it was his HIV+ status that made him decide to work as a peer counsellor. “I love teaching. I did a lot of volunteer work during the one-week leave that I got every month,” Abu added. “At first it was helping to distribute condoms to sexual workers. Then I volunteered at the needle exchange centre. Drug addicts have it a lot harder than other high-risk groups. They don’t know how to tell if they are sick; on top of that they have to fight off the addiction. Almost always when a drug abuser discovers that he has HIV+, his CD4 count is very close to 200, which means it would progress to full-blown AIDS soon. Sexual workers depend on being healthy in order to be able to continue getting customers. So they are the most aware; they will voluntarily get tested twice a year. I, on the other hand, am in the promiscuous group,” Abu explained. I laughed and said I did not intend to say that at all. “We have different challenges and carry different burdens,” I said to Abu. “That is true,” Abu agreed. “Acceptance took a long time,” he added. “How young are you?” I asked. “My parents still don’t know about this,” Abu said. “Is it hard living with HIV?” I asked. “Not at all,” he answered. “Of course I miss eating sushi and Bliss yogurt (we both laughed), but managing my condition is pretty easy. It is a lot about compliance to the ARV therapy and the usual stuff — eat healthily, exercise, sleep. There is a lot of support group and the Government is doing a lot of work behind the scenes that regular people don’t see. What is hard, at least for me, is talking to these drug addicts and trying to convince them to take the medicine. Most of them don’t want to because they fear the medicine will interfere with their “enjoyment” of taking heroin. Being a HIV+ person gives me a better understanding of what these abusers go through, and I think I can reach out to them. We hugged our goodbyes at the airport. I wished him well and told him to give me a call if he is ever in Kuala Lumpur again. I knew now what he meant when he said Kuala Lumpur is hot. I don’t think I can do what Abu does. I am book-smart, I know how to make money but I don’t think I have the presence of mind or heart to be able to devote my life to saving other people’s lives. Saya doakan Abu dipanjangkan umur dan dimurahkan rezeki dan diberi keberkatan supaya dia boleh membantu seberapa ramai yang mungkin mengatasi masalah ketagihan dadah dan mendapatkan rawatan yang sewajarnya, Inshaa Allah, amin. Maiden Book is on Its Way! This not the real cover, but that’s the title of my maiden book! Received the Final Artwork (FA) today so I am spending the weekend proofreading this. It won’t be available til 2016, but that’s just two months (and change) away. 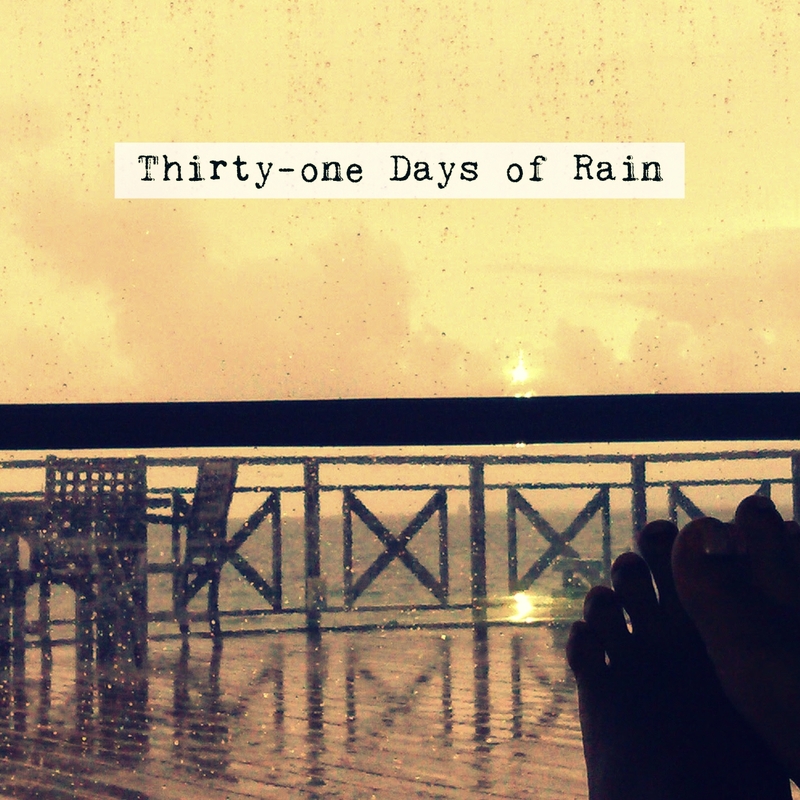 I am quite worried about the content because 31 Days of Rain (DoR) is written in a non-linear format so it is not going to be the kind of book that you read from page 1 til its last. Approaching it that way will make the book seems jumpy and disjointed. But, during the initial stage of writing I realized that I wanted the stories to evoke the different feelings you get at different stages of love. So I wrote one story per day, and each one reflects the way I feel on that particular day itself, depending on which man that crosses my mind. These stories are meant to make you talk — you may hate or identify with them; much like how they affected Nemo that he wrote a commentary that corresponded with each one (which I cleverly named “31 Nights of Rain”). The stories borrow heavily from past experience, though I didn’t have the heart to name these men. Some of them deserves no name to begin with. Days set the scene; Nights provide a male point of view. Obviously I had a lot of anger when I wrote this. But I am a girl, I am allowed to be dramatic! You may disagree with Nemo, or you may disagree with me — but that is the whole point; we dissected these pieces based on our individual yardsticks and how we think we would act/react if we happen to be in the same situation. DoR will be a limited edition release, so keep watching this space for updates! 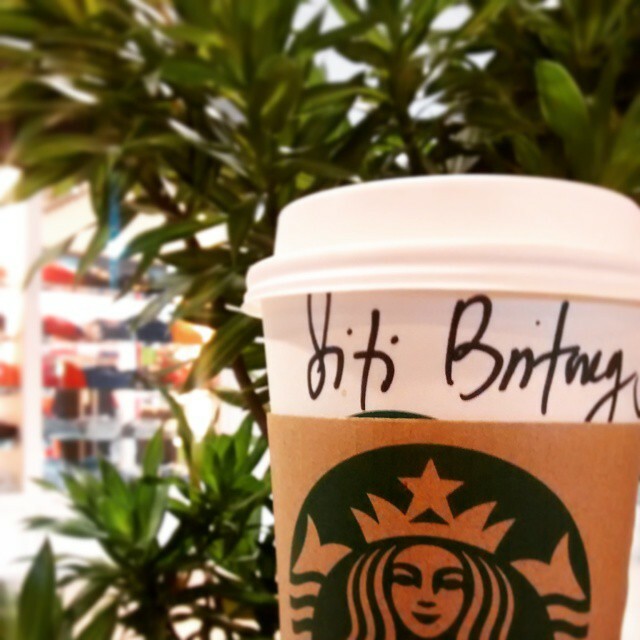 I am in the midst of writing 3 books simultaneously under the moniker Siti Britney. It’s a long, slow process because I write with my mobile phone whenever the muse strikes me, mostly during taxi or train rides. What does Mr Pink Shirt do? Well…he used to build airports. Not anymore. But his work takes him to and through a lot of airports. He likes sending me photos of airports that he happens to be in and explaining to me the beauty in each one. The curvature of the roof, the way light and air flows through the structure, how the foot traffic is designed. Kansai airport is his favourite. I have been in love with it for twenty years, he told me. He loves Towers – Tokyo, Twin, Eiffel. The first time we met, as he was leaving, he told me he was heading to Paris that night for a bespoke dinner at the Louvre. I replied, I hate you. The group laughed. I don’t know if they saw or realized that as we shook our hands good bye, he ruffled my messy hair like I was a child and said we should have dinner there someday. I am short, it’s not very hard to do that. It would be 4 months after that first meeting before he sent me a text to say he only realized he was in a seafood restaurant in Subang when he passed by my office. Did you send this text to me in error, sir? I replied, puzzled at the sudden appearance of the uninvited text. Because if this was intentional, then I am highly offended that you would talk about seafood restaurants and not invite me along for dinner. He speaks several languages. He switches mid-sentence sometimes, the show-off. I know who he is, his legacy, the burden of the name that he carries. I don’t remember how I know, but I knew right from the beginning. It is intimidating, he said, now I am back in my kampong where I am judged not just by how well I do my job, but mostly by how well I carry my name. We don’t talk about it all that much. He is not comfortable and I don’t pry. Maybe you could write a book about it someday, he joked. Hah. Little did he know…. He wears colors. Orange, blue, pink, green, mustard. He is so skinny and fit he makes me sick (not really). One time as he kissed my cheeks goodbye and his scruffy 5-o’clock shadow scratched my face, I whispered, comel sangat. I have never seen him clean-shaven since. He says I am naughty. Madam creative genius, he once called me from across the room. I don’t take photographs with old people, I told him when he tried to take my pic. Especially old people with iphone6s. I know he steals a look whenever we are in the same room. When I catch him, he doesn’t look away. He just breaks into a smile in the middle of whatever yarn he is spinning to whomever he is talking to. He lightly touched my hand once as I sat across him at the dinner table. I was trying to catch the eye of the waiter to ask him to refill my glass. He lightly touched my hand to get my attention and then poured half of his drink into my empty glass and simply said, share. Then he stole the sous vide chicken from my plate. Mama sends her love, he texted the night that I did not turn up for the waltz concert. Can I please arrange for tea, at least? He once offered, if you’ll allow me, I’ll speak to someone to make sure that no harm will come to you. I can have someone look out for you to make sure you will be alright. (We were talking in the context of work). No, I told him. I don’t need anyone to save me. If I sink, I sink. The only thing he knows about me is that I like to eat chicken rice. It’s not fair, he protested. You know so much about me. That’s how it works, I told him. Everything you need to know about me, you have to learn. I will not tell you. We’re not in a relationship. We are not in any —-ship. We don’t talk, meet or text that often. Please. Lots of planes to catch and bills to pay. What we have is an understanding. When we are in public, we don’t even talk to each other. I mean, we do. But respectfully and sparingly. Listen, this is not antara dua darjat nonsense. The simple fact is, in our individual, official capacity, we are defined by the title on our business cards. That’s the kind of world that we operate in. I am fine with that. But if this was a friendship, he’s putting in a lot of work to keep it alive while I giddily share his texts with friends and discuss challenges that we would throw him or things we’d like him to buy the next time he flies to Japan. I have only been speaking about him recently, but the truth is I have known him for a year. I like him. Can you tell? He is my Yamazaki Single Malt Sherry Cask 2013. Hard to find. But not impossible. Just elusive. Di mana kan ku cari? I don’t know. But if Mr Pink Shirt exists, there must be more from the tribe. In the meantime, I’ll worry about what to wear next week. Meet or hide, buying new clothes is always a very nice thing to do for myself. Duit banyak2 nak buat apa? Shopping la.